Cloverbuds are those members in grades Kindergarten (5 year old) through 2nd grade. Burnett County has two countywide Cloverbud groups that each meet once a month. The Siren Countywide Cloverbud Meeting is held at the Burnett County Government Center on the second Monday of each month from 6:00-6:45 p.m. The Grantsburg Countywide Cloverbud Meeting is held at the Grantsburg Library in the Learning Center on the second Tuesday of each month after the Siren Monday meeting from 6:00-6:45 p.m. Both meetings are identical. Cloverbuds may attend meetings at either site, whichever is more convenient. The topic will follow the schedule outlined in the Cloverbud Activity/Record Book. If you are unable to attend the meeting at either site, feel free to complete the activity at home. For members in 3rd grade and up, there are so many projects to choose from in the areas of: Animal Sciences, Arts and Communication, Family, Home & Health, Mechanical Sciences, Natural Resources, Plant and Soil Sciences, STEM, and Special Projects! The opportunities are endless. Youth in grades 7-10 are eligible to attend this educational event in Madison each summer. Participants take part in educational seminars and assemblies and meet people from across Wisconsin. They are encouraged to take what they learn and share it with others in their home community. Showcase Singers: Since 1987 the Wisconsin 4H Showcase Singers have been dazzling audiences at the Wisconsin 4H & Youth Conference, the Wisconsin State Fair and more! The group is comprised of 4H members, high school age and older who perform “show choir” material. Drama Company: An exciting opportunity for high school youth to serve as theatre ambassadors. At WI 4H & Youth Conference, youth will share their skills through a performance and teaching seminars. The Drama Co. will also perform for the first six days of the Wisconsin State Fair! Art Team: State Art Team creates artwork around a theme for WI 4H & Youth Conference. They design and organize the WI 4H & Youth Conference Art Exhibit,reception, and provide guided exhibit tours. They teach seminars and train to be peer leaders for county and regional events including the Wisconsin State Fair. Photo Team: The State 4H Photo Team of 10-12 youth photographers take digital photos of Conference events and groups, and prepares a Conference PowerPoint presentation. The Photo Team will also participate at the Wisconsin State Fair! Art Lab: 4-H Art Lab is for high school age 4-Her’s and is held at Upham Woods in the Wisconsin Dells. At this event you choose from a track to go “in depth” and explore the art form that interests you the most! Participants will also work together in large groups for team building and sharing. The mission of the 4-H Art Lab is to provide an in-depth and focused experience in the “art track” of choice. Art Beat! :Art Beat is Created for 4-H members in grades 3-5 and their parents and leaders. This event is held at Upham Woods in Wisconsin Dells. 4-H ArtBeat! 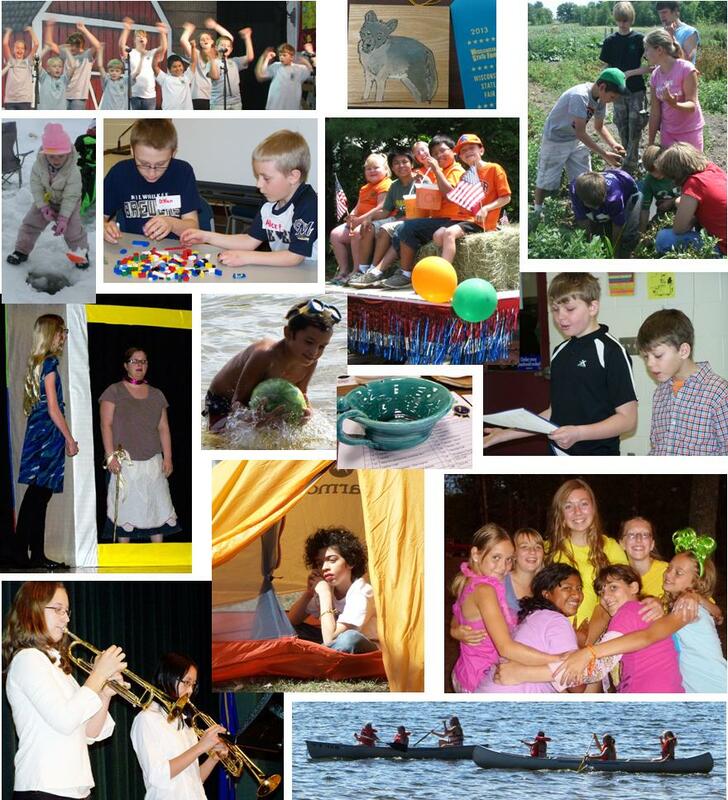 is the introductory program for Wisconsin 4-H Arts and Communication! 4-H members will explore their own creativity while discovering the great variety of 4-H Arts & Communication experiences available to them now and in the near future. Youth and adult participants will rotate through a variety of sessions which are hands-on and active and held at various sights throughout camp, including outdoors. Arts Camp: If you’re in Middle School, grades 6-8, don’t miss 4-H Arts Camp! Where else can you go to one place to learn about music, drama, visual arts, photography, communications, and juggling! You’ll rotate through the different Arts tracks each day, participate in a group Arts experience Saturday evening, and close with a ceremony for parents and families. This event is also located in Wisconsin Dells at Camp Upham Woods. 4-H members may apply to the The Peter Talen 4-H Arts Endowment Fund to pay for up to 50% of Art Lab, ArtBeat!, Arts Camp, and State 4-H Art Groups. Wisconsin 4H Youth Leader Council (YLC) are youth leaders representing districts throughout Wisconsin with the purpose to strengthen 4H Youth Development programs by promoting 4H,providing leadership at Wisconsin 4H & Youth conference, and communicating needs between local and state levels. 4-H Missions in Space program is a fun-filled weekend at the U.S. Space & Rocket Center in Huntsville, AL where participants will complete a simulated Space Shuttle mission, experience training simulators, tour the U.S. Space & Rocket Center and learn about becoming an astronaut. Space camp is for youth in grades 6-8. Citizenship Washington Focus (CWF) is a 4-H leadership program for high school youth, ages 15-19, from across the country. Every summer thousands of young people stay at the National 4-H Conference Center, near Washington, D.C., to participate in this week-long program. Wisconsin 4-H challenges youth to become global citizens by offering international homestays and hosting experiences as well as intercultural workshops offered on a county, district and state level. Currently, month-long travel and host opportunities are available with Japan, Costa Rica, Norway, and Korea. Outbound is open to 4-H youth aged 12-18. For more information, visit http://wi4hinternational.org/. National 4-H Conference is an annual event that brings 4-H youth and adults from around the nation together to work together towards strengthening and expanding the 4-H Youth Development program at the local, state, and national levels. The conference is held at the National 4-H Center in Chevy Chase, Maryland, and it usually takes place around the beginning of April. National 4-H Congress is the flagship event of the 4-H program. For over 89 years, youth from the United States and its territories have participated in this youth leadership development conference. The Congress provides youth with a quality educational and cross-cultural experience that exceeds what any state independently provides. It is designed to address the needs and issues of youth while helping to develop capable, competent, and caring citizens. The Junior Leaders is a group of youth in grades 6-13 who serve as leaders in Burnett County 4-H. 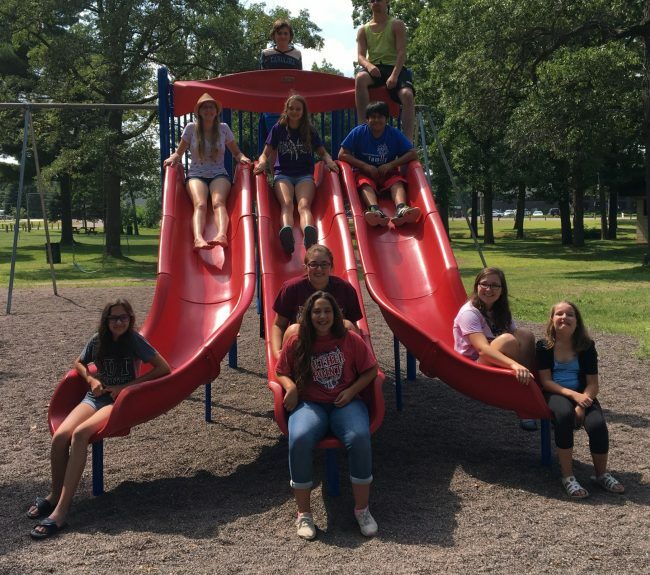 This group of older 4-H members meet on a monthly basis to plan events for other members in the county, plan and participate in social events and gatherings, and participate in other leadership opportunities. If you are in grades 7-12 and want to see what the Junior Leaders are all about, come to a meeting! The Junior Leaders typically meet the second Sunday of the month at 5pm in the Government Center.